Sharp Objects premieres July 9, express from the US and exclusively on Foxtel’s showcase. Here’s why you definitely should not miss this brilliant series. In her first starring TV role, Amy Adams brings an emotional depth that few of her peers can match. Her portrayal of emotionally scarred and alcohol dependent reporter Camille Preaker, who returns to her home town of Wind Gap to research the murders of two girls, is intricately perfect. Over the past year, it’s become clearer than ever that the world is crying out for more movies and TV shows led by robust, multi-faceted and flawed female leads. Enter Sharp Objects, which has women at the core of all levels of production, from writing to producing and of course acting. You won’t find any one-dimensional female characters here. Gillian Flynn, who made us all look at our relationships in a slightly more suspicious light with the deliciously messed up Gone Girl, delivers another tale where not all is as it seems. 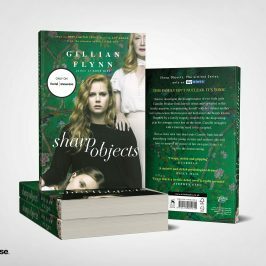 For Sharp Objects, Flynn teamed up with screenwriter Marti Noxon, whose credits include Buffy, Mad Men and UnReal, to create an engrossing script full of intrigue and mind-blowing twists. As Camille’s estranged mother, Adora Crellin, Patricia Clarkson treads the line between cold matriarch and grieving mother with ease. While strict and overly concerned with her family’s reputation, Adora is ultimately a broken soul. You’ll find yourself constantly questioning the motives of this complex character, thanks to Clarkson’s delicate portrayal. There’s something masterful about the way Sharp Objects is edited, which adds to the overall sense of foreboding throughout the series. Something sinister is going on in Wind Gap, and every shot plays a part in building suspense. While stylish, the editing is also efficient, with jump cuts used to heighten tension and reduce unnecessary action. Every shot is pieced together thoughtfully. 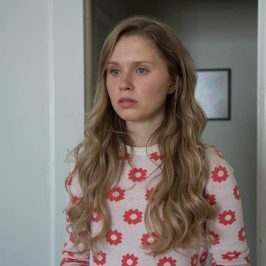 Up-and-coming Australian actress Eliza Scanlen more than holds her own against her famous co-stars. The 19-year-old gets her Hollywood break as Amma, the much younger half-sister of Camille, who is living a double life. At home she’s an innocent teen, but away from mother’s gaze she’s a wild child (stealing scene after scene with her intense performance). This talented Aussie is going places. Every show featuring Elizabeth Perkins is elevated by her presence. In Sharp Objects, Perkins plays Jackie, a friendly local whose kind nature and witty quips offer relief from the otherwise dark storyline. Meanwhile, Chris Messina, best known for his roles in The Mindy Project and Damages, plays the continually frustrated Detective Richard Willis, whose efforts to investigate the murders are hampered by locals. As Richard and Camille get closer, it’s hard to tell who has the upper hand. Then there’s Miguel Sandoval, who brings a whole lot of heart to the show as Camille’s boss and father figure, Frank Curry. Yep, Big Little Lies! The show that had millions of viewers on the edge of their seats and delivered knockout performances from its leading ladies. Jean-Marc Vallee knows how to bring the best out of his cast and weave a gripping story across a limited series. We get it, devoting time to another acclaimed TV series can be a daunting prospect. 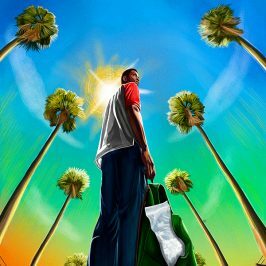 We all have busy lives and things to do (well, other shows to watch at least). A series limited to eight episodes is the perfect solution for those wanting to sink their teeth into a chilling drama without the long-term commitment.